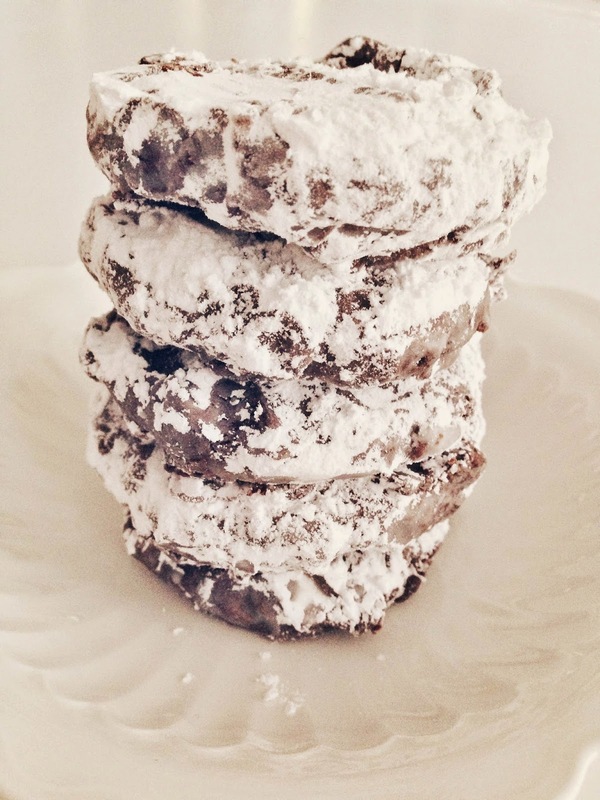 Yes, the title is correct…Puppy Chow Cookies. Excuse me what?!! If puppy chow isn’t the most highly addictive snack around, meet it’s arch nemesis, the COOKIE!! I came across this recipe on [Pinterest](http://cookiesandcups.com/puppy-chow-cookies/?crlt.pid=camp.xZ9WVWh6ZZuc), however, I needed a way to make this gluten and dairy free without sacrificing the flavor. I think I did just that! In bowl of stand mixer cream butter and peanut butter together until smooth. Add both sugars and beat for 2 minutes. Add in egg, vanilla, baking soda and salt. Mix until combined. Turn mixer to low and add in flour. Portion out dough by in tablespoon amounts. Roll into a ball and then flatten to approximately 1/2 inch thick. Place on baking sheet about 2 inches apart. Bake for 8-9 minutes until golden at he edges. In microwave safe bowl combine chocolate chips, peanut butter and butter. Heat on high for 1 minute and then stir until smooth. Place powdered sugar in bowl. Dip each cookie in chocolate and using a fork remove cookie, tapping off excess chocolate. You don’t need a lot of chocolate coating on the cookies. Immediately dip the cookie into the powdered sugar and toss to coat completely. Place back on cooling rack to until chocolate is set. Repeat for all cookies.